Are you a developer and looking to jump from your current job? Wants to settle in an overseas country with high earnings? Which country would pay you the most for your skills? Yes, we have answer for all your questions. Here we’ve created a list of top 10 countries where you can get handful earnings for your development skills. As a neighbour to world’s tech hub USA, Canada is creating huge opportunities for tech businesses, particularly in Toronto, Montreal, Vancouver, and Waterloo. 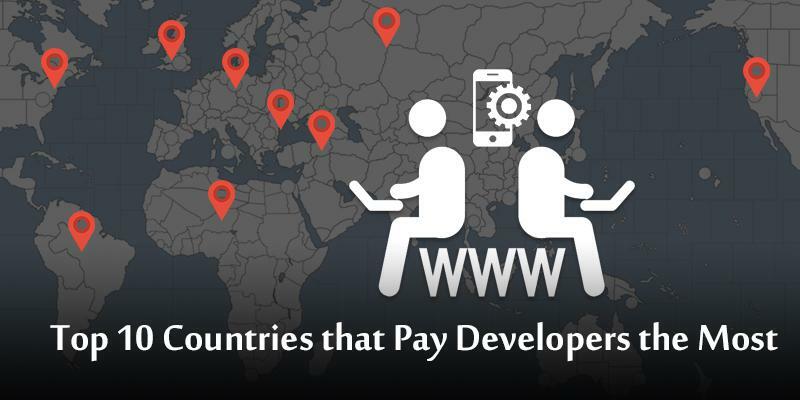 As a result, there has been an increased demand for mobile, web and software developers. Auckland, Wellington, Christchurch, Hamilton are the major tech cities of New Zealand. The major tech cities of Germany include Berlin, Munich, Hamburg, Cologne and Frankfurt. Sydney, Melbourne, Brisbane, and Perth are the major tech cities of Australia. The major IT cities of Israel include Jerusalem, West Jerusalem, Haifa, and Tel Aviv. The major tech cities of Sweden include Stockholm, Gothenburg, Malmo, and Uppsala. The major tech cities of NorwayareOslo, Bergen, Trondheim, and Stavanger. San Francisco Bay Area, Boston, Austin, Seattle, and Huntsville are some of the major tech cities of USA. The major tech cities of Denmark include Copenhagen, Aarhus, Odense, and Aalborg. Zurich, Geneva, Basel, Lausanne, and Bern are the major tech cities of Switzerland. In this rapidly evolving technological world, there is an increased demand for developers, especially mobile application developers. The companies that are listed above are not just attractive in salary, but also all-time favourite of employees with med claims, perks and other additional facilities. Shiva kumar a well-versed content writer working in a mobile application development company. I like to write on technology, startups and latest technological innovations that people like to know and share with others.